Why set up a content alert? Do you feel like you don't have enough time to stay on top of the latest research? Do you need a tool to help you stay informed? Use an app provided by your Library to receive alerts. 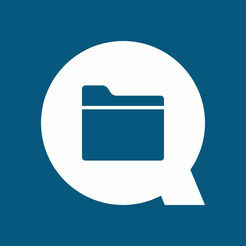 Follow your favourite journals in BrowZine or set up topic alerts in Read by QxMD. Your personalised current awareness service. Set up content alerts by specialty, journal or keyword to filter abstracts drawn from PubMed. Browse and read medical journals with access to full text provided by the Library. Share articles via email, Facebook and Twitter. How do I get Read by QxMD? Already have Read by QxMD? Browse and read complete issues of journals held by the Library. Create an account and set up a personalised bookshelf of your favourite journals. Share articles with your colleagues via email, Twitter and other services. Export citations to EndNote, Mendelay or Zotero. How do I get BrowZine? Do you want to receive updates when your saved searches have new results? Schedule a training session with a librarian and we can help you set up an alert.